Detoxifying is probably not the first word that comes to mind when you think about activated charcoal. Well, believe it or not, there is a very good reason why the below video recommends this natural compound as a detox agent. 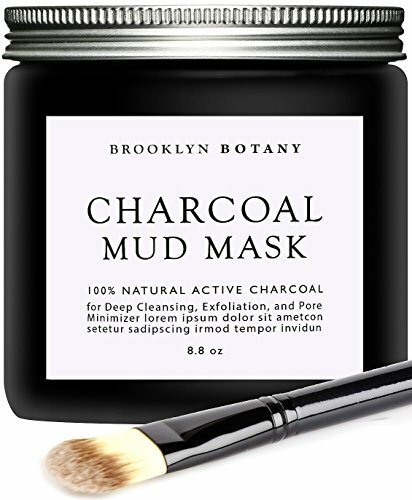 So what is so unique about activated charcoal? 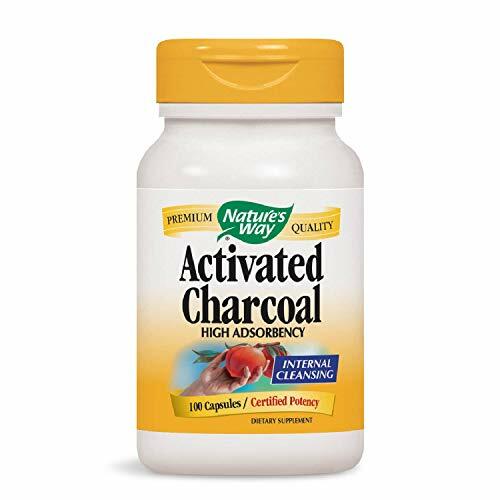 Well, unlike other detox agents that eliminate toxins by absorption, this kind of charcoal eliminates toxins by adsorption. By definition, adsorption is a chemical reaction that results in elements being attached to a surface. Therefore, thanks to its many pores and it being negatively charged, charcoal acts as a magnet that attracts toxins to it. That being said let us now get into the main benefits of this kind of charcoal as explained by Dr.Axe. Mold is ranked among the most dangerous external pathogens commonly found in our homes. Mold exposure can be the result of a leaky pipe, flooding, and poor ventilation. If you are experiencing, wheezing, watery or puffy eyes, rashes, and coughing, then there is a very high likelihood you have been exposed to this dangerous pathogen. This pathogen has been linked to diseases like chronic depression, epilepsy, kidney and liver failure and even decreased brain function. However, do not panic as activated carbon can also be used to remove mold from your system. How you ask? Well by taking three capsules of activated carbon a day. Alternatively, if you are not a fan of capsules you can take a tablespoon of activated carbon three times a day. Since the mold that has invaded your body is positively charged, it is attracted to the negative charge of the activated carbon capsule or powder you inject into your body. This will help your body excrete the harmful substance. Of worth noting is that taking activated carbon can cause constipation. Thus, if you are taking this treatment be sure to drink as much water as you can. According to Dr.Axe it is recommended that you double, or better yet, triple your water intake. This means drinking the equivalent of your weight in ounces. So if you weigh, let’s say 180 pounds, take 180 ounces of water a day. Also, long term use of activated charcoal is not recommended. Thus, the wisest thing to do is to use activated carbon for a short period of time. When it comes to general detoxification, you probably use fruits and veggies such as watermelons, beetroots, carrots and many others. Or if you are not a fan of eating veggies, you probably rely on lemon water, green tea and other liquids to detoxify your body. With activated carbon, you can add a new detox agent to your long or short list of detox agents. Contrary to what you might think, the use of activated carbon as a detox is not a practice that began yesterday or last year. Believe it or not, activated charcoal was used extensively in the ancient world to treat all manner of illnesses and discomforts including epilepsy. In the 1960’s it was very normal for doctors to prescribe this type of charcoal to persons suffering from drug and alcohol poisoning. Today, there are all manner of charcoal detox products, from soaps, powders to capsules. Some people have even gone as far as putting activated charcoal in their detox lemon drinks. If you want to add this charcoal to your detox juice ensure that it is not acidic. Those who have used activated charcoal in their daily detox recipe have reported feel-good effects. The charcoal adsorbs poisonous metals such as lead and mercury. It is for this reason that Dr.Axe recommends taking activated carbon before getting your amalgam and silver fillings removed. The charcoal adsorbs any metal particles that escape into your body during the removal of the silver filings. This ensures that no toxins end up in your system. Activated carbon is particularly beneficial as a detoxifier in today’s polluted environment. The many pollutants in our environment can be harmful to your health. Also, the chemical preservatives used on processed foods are also classified as toxins. These toxins are especially harmful to your digestive system as well as your brain functioning. Some of the effects of toxins include allergic reactions, poor immune system, cellular damage and increased aging. Using activated carbon is the surest and quickest way of removing these toxins. In fact, some people have reported feeling renewed and vibrant within minutes of using the carbon or charcoal. So next time you feel fatigued for no good reason, take activated charcoal as there is a high chance you have toxins in your body. Apart from removing toxins from the skin, activated carbon can also be used for detoxifying your hair and even skin. Since it is not wise to use the charcoal on dry skin it is wise to add this charcoal to your shampoo. For skin, there are several charcoal soaps available that you can use. When using it together with your shampoo add a tablespoon of the charcoal to your shampoo. Wash your hair and rinse it as usual. Some additional rinsing may be required to completely remove the charcoal’s color from your skin. You can also add a capsule or three to your body scrub lotion. Activated carbon is also beneficial for teeth whitening. Regardless, of how ironic that sounds, charcoal’s adsorption powers make it a great teeth whitening agent. When your teeth become stained due to taking a lot of coffee, tea, berries or even wine, you can use this compound to restore your teeth to their whiter selves. The microscopic tidbits and plaque that are responsible for teeth staining get attached to the charcoal. What is most pleasing about charcoal as a teeth whitening agent is that it is cheaper than most of the teeth whitening agents we buy in stores. Apart from whitening your teeth, activated charcoal also helps improve your general dental hygiene. Charcoal helps restore your mouth’s ph balance and thus prevents cavities, bad breath, and gum disease. To get the desired results brush your teeth with activated charcoal two times per week. Powdered activated charcoal can be used in the same manner as your favorite toothpaste. In this regard, wet your toothbrush and dip it in a bowl of powdered activated charcoal. Then use the toothbrush to brush your teeth paying close attention to the area of your teeth that is stained. 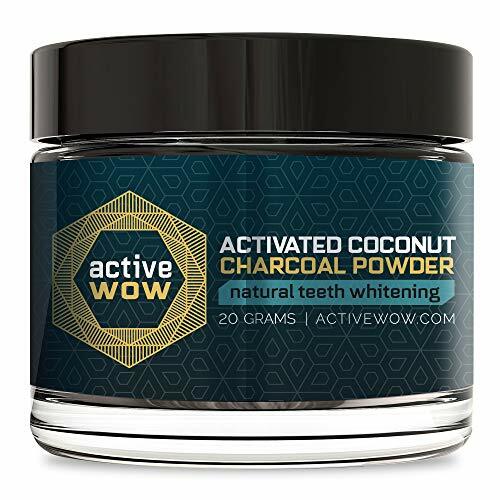 As with all other teeth whitening agents, the best time to cleanse your teeth using activated charcoal is right after you wake up and before you go to bed. Since activated charcoal is safe to swallow you will not be worried when using it. This is unlike other artificial whiteners, which can cause serious health problems when swallowed accidentally. So if you really care about your overall health, then you will use this compound instead of artificial teeth whiteners. One of the less known health benefits of activated carbon is that it helps ease bloating and gas. This the compound does by attracting the food byproducts that cause bloating and gas. So next time you eat food that gives you gas, be sure to take activated carbon after the meal. Alternatively, if you suspect that you will be consuming food that will give you gas take 500 milligrams of the charcoal one hour before eating the food. This should be followed up by one glass full of water to avoid constipation. As a basic rule of thumb, it is important that you avoid food one hour after consuming charcoal. Also, it is wise to consume charcoal two hours before you eat anything. The reason for this is that not all food compounds are bad for your health, actually, most compounds found in foods are good for your health. Consuming food too soon after eating charcoal can lead to the removal of some of these important nutrients. And since that’s not what we want, ensure that you stay for some time before eating food after taking activated carbon. From your high school science teacher you learnt that the skin is the largest organ in the body, or should I say on the body. Also, the skin is the one part of the body that is most exposed to toxins and other harmful pathogens. Therefore, it needs to be protected at all costs. And one of the best ways of protecting your skin is by using activated carbon. Using charcoal soaps will go a long way in detoxifying your skin surface, which is more often than not clogged by oils, toxins, dirt, bacteria and even unwanted sebum. No living organism can live without water, humans included. This is why your doctor recommends drinking approximately 2 liters of water a day. Unfortunately, most of the tap water that we drink is laden with chemical and industrial impurities. Thus, one of the main benefits of activated charcoal or activated carbon is that it is great for water filtration. With its many pores, activated carbon is able to trap water impurities such as industrial waste, metal particles, solvents, and pesticide. You can even make your own activated charcoal filter as shown in the video below. 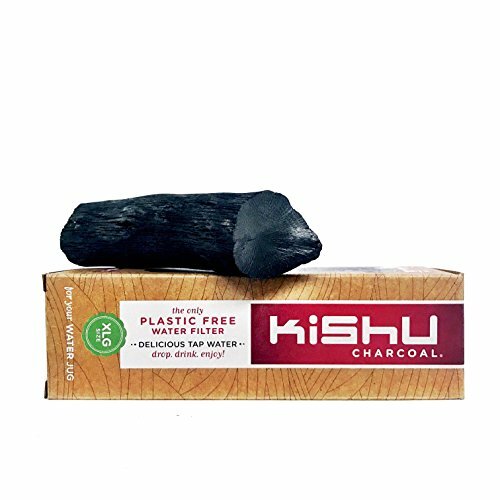 According to medical research, this kind of charcoal also eliminates fluoride. If you are keen on your dental health, then you know that fluoride is one element to avoid. The reason being that it causes yellowing of teeth and impairs your dental structure. This is not the only reason why you should avoid fluoride though as it is also associated with the poor functioning of immune systems. Also, doctors recommend avoiding this substance if you want healthy kidneys and liver. From this statistic, it is no wonder many water filtration systems have activated carbon as the main filter. Drinking 10 ounces of pure and charcoal filtered water will soothe your digestive tract, ease fatigue and provide lubrication for your joints and tissues. It is important to note that while activated carbon removes a wide array of water impurities, it is incapable of removing viruses, bacteria, and hard water minerals. We have all been in a situation where we or someone close to us swallowed something dangerous. When this happens you have to act fast to flush out the toxins from either your or your friend’s body. And the best way to flush out toxins or harmful chemicals is by using activated carbon. In fact, one of the earliest uses of charcoal was, as an antidote for harmful chemicals, and poisons. 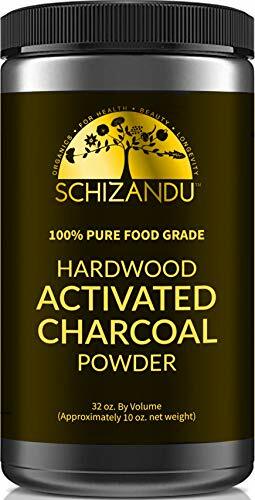 Charcoal is able to adsorb both inorganic and organic chemicals. Also, this compound also adsorbs heavy metals, poisons, pesticides and other harmful elements. Activated charcoals also work wonders on alcohol and other drugs such as Tylenol, which is harmful to your liver. It does not end there, though, as activated carbon can also be used to remove pharmaceutical drugs. Thus, in the event that you either purposefully or accidently a big dose of pharmaceutical drugs, consuming activated carbon can go a long way to saving your life. You can use it on your friend as well when they decide to go suicidal for one reason or the other. Some of the drugs that charcoal is effective against include, cocaine, heroin, aspirin, acetaminophen and morphine. The proper amount of activated carbon should be consumed within an hour of ingesting any poisonous drug or in the event of an overdose. The recommended amount of charcoal to take after an overdose or ingesting poison is 50 to 100 grams for adults. For children, the recommended dose is 10 to 25 grams. In the event of food poisoning, activated carbon can also be used to ease the symptoms. This adds to the compounds already long list of health benefits. When you suspect that you have food poisoning or when you start exhibiting symptoms akin to food poisoning take 25 grams of activated carbon. On the other hand, if you suspect your child has food poisoning, give him/her 10 grams of the charcoal. If necessary you can increase the dosage. One of the most important things to remember when taking activated carbon is to take large amounts of water. The water will help in flushing out the toxins without causing any discomfort to your body. From the above video daily use of activated carbon is not recommended. What is recommended is short term use of the compound especially during emergencies. Thus, you should use activated charcoal after ingesting something poisonous or for a short period of time. Activated charcoal has numerous health benefits and has been used by many different communities for centuries. The above-highlighted benefits are the main ones. In conclusion, it is my hope that you enjoyed reading this article and that you have actually learnt something from it. If you have why don’t your share this valuable information with someone else? Also, share with us if you know of any benefits we missed! There is no direct evidence to suggest that charcoal toothpaste is directly harmful to the teeth, however there are some important factors to consider. Firstly, it is important to understand the role of fluoride in preventing tooth decay. In order to actively prevent decay, toothpaste needs to contain 1350 to 1,500 parts per million (ppm) of fluoride. Many of the current toothpastes which contain activated charcoal, however, fall well below this level and are putting users at an increased risk of tooth decay.